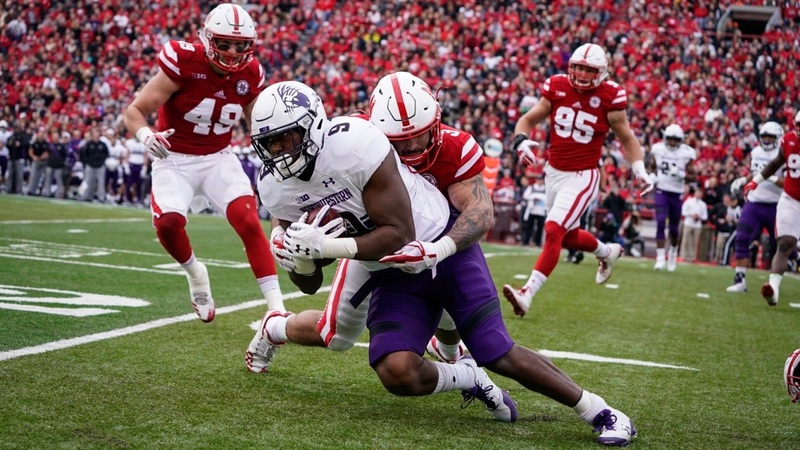 Time and time again, Nebraska (4-5, 3-3 Big Ten) had chances to put the game away but failed to do so and Northwestern (6-3, 4-2 Big Ten) made it pay with a 31-24 overtime win. Both teams had chances to set up game-winning field goals on their final drives, but Nebraska stalled out at the Northwestern 40-yard-line and punted away with just under a minute left. Northwestern then marched it to midfield but failed to connect on a Hail Mary as time expired. It was Northwestern’s third straight overtime game this season and Nebraska’s first, and the experience showed. The Wildcats got the ball first and marched right into the endzone, punctuated with a quarterback sneak on fourth-and-goal from the 1-yard-line. Nebraska got the ball next and failed to muster a single first down, the game ending on an incomplete fourth-down pass. Nebraska’s defense gave up 475 yards on the day, including 232 total rushing yards and 154 yards from senior Justin Jackson. The Blackshirts did hold Northwestern to 1-for-11 on third down tries, but gave up 24 points on four red zone trips. Northwestern quarterback Clayton Thorson ended the day 19-for-35 for 243 yards, two rushing touchdowns and two interceptions. Where Northwestern had offensive balance, Nebraska did not. Quarterback Tanner Lee was 21-for-37 for 225 yards and two scores, but was picked off three times. As has been the case all season, Nebraska struggled to run the ball, averaging just 3.6 yards per carry. Junior tailback Devine Ozigbo led the way in the backfield with 72 yards on 23 carries. Redshirt freshman JD Spielman had another strong showing with 48 receiving yards and 45 rushing yards, including a 40-yard jet sweep that was the Huskers’ longest run play of the season. The loss marked the third to Northwestern in the last four games in Memorial Stadium and the third straight home loss for Nebraska. The Huskers will now face a two-game road stretch with Minnesota (4-4, 1-4 Big Ten) next Saturday followed by No. 7 Penn State (7-2, 4-2 Big Ten) on Nov. 18. The Huskers end the season at home against Iowa on Nov. 24. They need two wins in their final three games to reach bowl eligibility.